Discussion You have plans for Record Store Day? You have plans for Record Store Day? Out here in Bowmanville, Ontario... an acquaintance of mine opened a record store a year back called Vinyl Alibi. I will be going there to support him and see what he has. I will also be donating one of my Eddie Vedder - Better Days 7" to him. I hope it makes him happy. And if he really wants one... one of my Michael Jackson Thriller albums. I don't know how... but I managed to acquire three of those. :? : Good album.. but still not sure how I got three. I might try to give my old lady the 7"
Nice. I have the minidisc. My plans are not to spend too much $$. One item which is impossible for me to obtain is the radiohead single. If anyone in the UK could get it for me with price and shipping covered I would call you my daddy! I got the last Immortality 7" the record store I went to had! YAY! + I got Uncle Neil's After the Gold Rush(remastered) & Unplugged from the cheap bin!! Bad they were in the cheap in of course but cool I got them!! 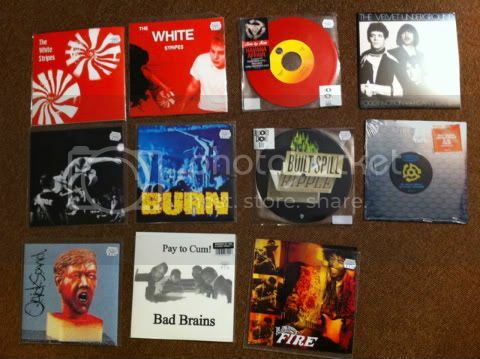 the record store I go to had an online "shopping list" of all the RSD stuff. I should be getting an email sometime tonight as far as what I will be getting for sure. They are opening tonight at midnight for a couple of hours, but I'll probably just go in the morning. can someone tell me what's so special about PJ's immoratility 7"? isn't it the same exact one that was issued before? Yeah but I got it!! Just feels like I scored something, feels cool for some 'sucked in by the marketing of record store day' kinda reason! Nice! I'm heading to Amoeba as well. 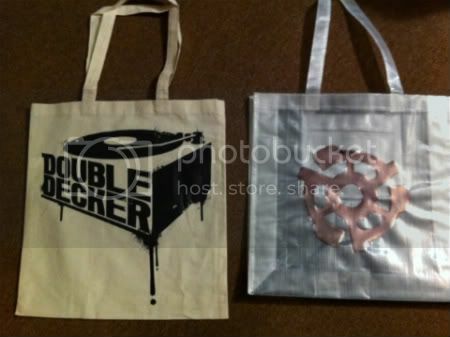 Hope to get my hands on a couple vinyls and maybe some free goodie bags. The Doors - Riders on the Storm 7"
Manchester Orchestra - Simple Math 7"
Pearl Jam/The Frogs - Immortality / Rearviewmirror 7"
Derek and the Dominos - Got To Get Better In A Little While / Layla 7"
I was also looking for the R.E.M. 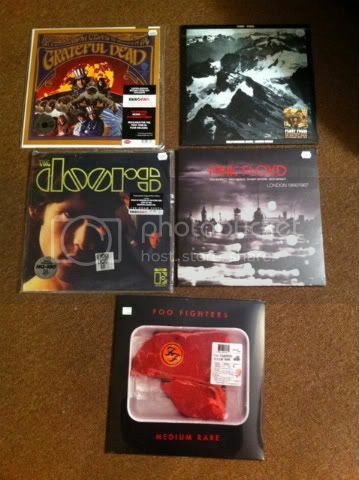 3X7", Foo Fighters - Medium Rare vinyl as well as the Velvet Underground and John Mayall & Eric Clapton 7":s but my two local record stores didn't have them. I'm glad that RSD is more international and not US and UK only, so that music listeners everywhere are able to have some of these goodies. If anyone has the R.E.M. release (3 vinyl singles) to sell, I would be more than interested. If anyone could pick up an extra radiohead 12", PJ 7"s or White Stripes 7"s I'd be over the moon to take them off your hands!! In line right now at Vintage Vinyl - lots of stuff but my two biggest hopes are the Phish 7" and the MMJ It Still Moves picture 12"- and I'd snag Immortality too if it's available. Cheers man, was crazy in toon - queues were ridiculous. So many people with bags full of vinyl!! Got there just after 8am, queue was huge. Picked up Gorillaz and Grinderman. Wanted Springsteen as well but that sold out. Radiohead sold out pretty early. I've seen one on ebay currently at £79.00. Makes me sick. just got back. i scored vs, vitology, medium rare (foo fighters), 2 immortality 7". i had to go to 2 different stores for the pj single. both my record stores had most of the releases available. wish i could have spent more money. i loved seeing all the people with vinyl in their hands. thanks to pj it seems to have made a huge comeback.